Your listings are set up. Your properties' titles are enticing, you spent hours crafting the perfect description, and you're using a dynamic pricing tool. But you aren't gaining the number of inquiries you were hoping for. So what's wrong? 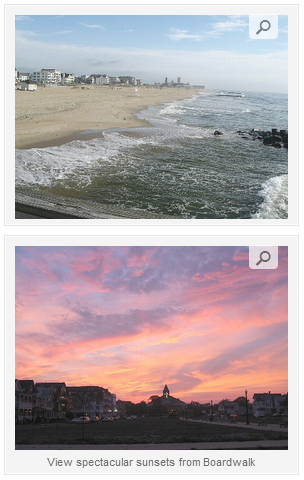 The first photo a traveler will see of your vacation rental is your listing thumbnail. That tiny thumbnail offers a quick glimpse of your property - a mere sliver of a peek to convince a guest that your property is worth their time to consider. If they don’t like it, they will move on to the next one. So how do you give them a reason to click? How do you make a traveler want to click? Less is best when it comes to your thumbnail. Inspire a traveler to want to learn more. Take a peek at this cabin in Colorado: Snow, trees, cabin, and a beautiful sky. Simple. Striking. The warm lights at dusk draw you into the photo—and into the listing itself. By reducing the photo to as few elements as possible, a traveler will be able to better register the thumbnail in his brain. Another thumbnail with just a few elements: water, sand, trees, and sky. Additionally, using the compositional element of leading lines, the sand and waves begin in the foreground and lead you into the photo. One odd trick to know if your thumbnail window is overloaded: make the photo blurry by squinting your eyes at it. If your photo is simple enough, the main elements will still stand out. If you have packed your thumbnail with too many elements, it will all blur together. Are your guests looking to drink hot chocolate in a snow-covered lodge nestled in the woods after a day of skiing? This thumbnail immediately tells you that this is the perfect place to be. By angling the perspective of this photo behind the beach chairs and looking towards the ocean, this beach thumbnail encourages a traveler to kick off her shoes and have a seat. If you have a unique feature—a detail that is very distinctive about your vacation rental—don’t be afraid to zoom in on it. This black bear is an exceptional characteristic, the mascot really, for the Black Bear Lodge in Branson, Missouri. And when the competition is fierce, it is the little details like this one that are many times the tipping point in a guest’s decision of choosing a property. 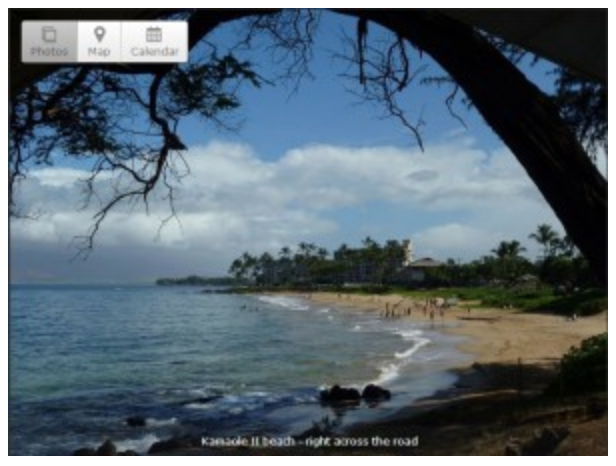 This thumbnail is for a fabulous property in Hawaii: the beach is literally steps away from this bungalow—you can even see the ocean from the front porch. But there is so much going on in such a tiny picture, travelers could easily miss the spacious lanai and beautifully landscaped yard as they scan past. Don’t mistakenly highlight a cinder block wall or other drab feature of your property. This photo may have been chosen for the bright red umbrella at the top, but because the wall takes up a good portion of the photo, because the light is lackluster, and because there is an overwhelming amount of gray contributing to the lifelessness of the photo overall, it is easily passed over. Unless your condo living room is absolutely spectacular, don’t use it as the first peek into your vacation rental. As a traveler myself, a fresh coat of ocean blue paint on the wall is not the first thing I am looking for. What I am looking for is the real ocean blue, and this property has it: a gorgeous beach framed by a silhouette of trees arched over the beach. Unfortunately, the beach photo is hidden in the middle of the other listing photos. Have someone help you out with this one by standing guard if necessary. If the vehicle is a regular, politely ask the owner to give you five minutes of car-free zone. If a car-free zone is still impossible, choose another lead photo. Consider the different reasons guests choose your vacation area. In this case, for example, the Jersey Shore has a lot of eye candy to offer, like waves crashing on the beach and spectacular sunsets. Out-of-focus and grainy photos are not your friend, and travelers are not fond of them. There is no reason to cram as much information as possible into the listing thumbnail, the window to your vacation rental property. Show a glimpse and create a desire to see more. Pinterest is a growing social media hub that can help boost your blog; pairing the two creates a powerful way for you to connect with new visitors. Some photographers will do some arranging, while others will stage your home for a fee. If you do the prep work yourself, what can you do to set the stage for images that earn inquiries? Here are five DIY tips.